Cleans very well and not gummy like saddle soap. Love it! Wish you had the larger size. I love this product!! I purchased last year, because it was supposed to keep mold away. IT WORKS!! I had some old tack that was covered in mold and I used the cleaner first and then the conditioner. A year later, hardly any mold. This is the first product I've used for this use that works! Highly Recommended! Super great for everday use! I also use the conditioner occasionally. It's a little pricey, but worth it. Leather Therapy products keep our tack like new. A great leather cleaner and conditioner in one. Good stuff. Makes leather like new. I like the convenience of the spray and it does a great job. I had a few saddles that have been sitting in the barn covered in dust, hay and horse sweat. After using the Leather Therapy wash, they looked great again. Even the one with some mold on it. I am going to use this more often, because it is so simple and quick to wash the saddle free of dirt and debris that I expect my saddles to last for years looking good as new. Works better than expected! No greasy sticky after feel. fast cleaning with no residue. 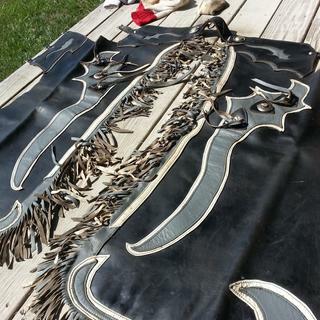 Worked on all my tack! I've used Leather Therapy Wash for the last 12 years; I discovered it when I bought a dressage saddle on eBay, which came from a much more humid state than mine. I had never seen mold on tack before, and though the saddle had been cleaned, there was mold inside the panels and skirt. One cleaning with Leather Therapy, and it has never come back. 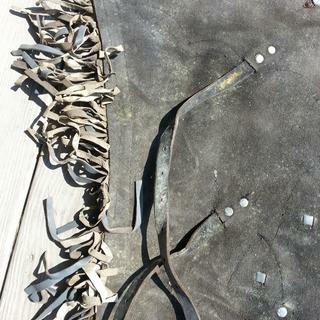 Leather Therapy actually CLEANS leather - you can get all that sweaty gunk off your bridle and reins! It also does not stretch leather, so you can use it on billets and stirrup leathers. It does not take much, just a couple of sprays on a damp sponge, so it's economical. I bought this product to clean my saddle due to some mildew issues I was having. The product I had been using was not doing the job....in fact, it seemed to be getting worse. So far there has been no reoccurrence of mildew. 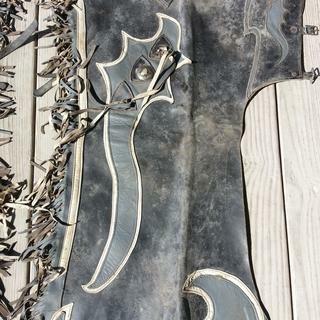 It seemed to condition the leather too. I also purchased the conditioner of this same brand. Good products and a little goes a long way. I also did my relatively new bridle which was stiff even after using my old product. The leather looks and feels great. I use this wash once a week alongside with Leather Therapy Restorer & Conditioner. I used this product on cracking leather boot and they looked almost brand new compared to its previous state. New leather washed and conditioned by this brand feel smooth and soft, brand new. I love the way it smells and transforms the leather. I will definitely be purchasing this product in the future. Perplexingly works equally well on bits and stirrup irons! Revolutionary product that smells amazing. Still need that old toothbrush to clean off the dried crud but REPELS future buildup. My only regret is that I initially balked at the price and waited so long to try it! Easily cut my tack cleaning time in half and eliminated my need to buy pricey oils. this is the best product to clean your leather with. a little does go a long way. I will not buy any other leather cleaner as long as this is available to purchase . so worth its price. 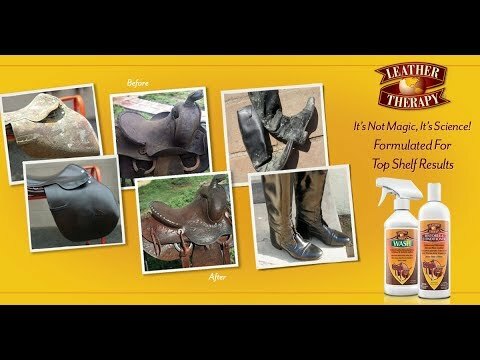 Leather Therapy is my favorite product for cleaning horse tack. Works great, doesn't leave a film. The product arrived with a broken top. I have not used the product yet, the handle is off. Perfectly Ph balanced for working harness and old harness restoration. My daughter loves this leather cleaner. She uses it after every ride and swears her saddle keeps getting better and better with its use. Does a great job cleaning tack. Awesome product for great price. With this Illinois winter, all of my tack was "invaded" by mold and after research, this seemed to be the best, so far it seems to be working very well. Moldy saddles! This product is the only one that will combat mold on leather. A friend stored my saddles in her barn, but did not turn the heat on when the weather turned cold. They are GREEN and appear to be ruined. (... over $5K in saddles!!!) 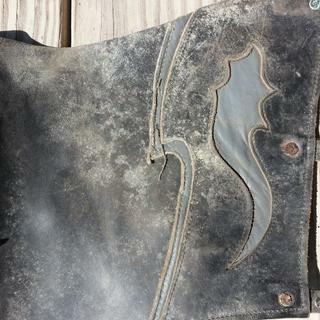 -- I found a "testimonial" about bringing a "green" english saddle back from the underworld (I googled "Get Mold Off Leather Saddle"
So I'm going to see if I can rescue my saddles from death. reviews state how incredible it is and I need a good product for tack cleaning and restoring. used it for years: a quality product. It works well on mold. HAD A BOTTLE AT HOME AND HAVE USED IT ESPECIALLY ON OLD TACK. I TRIED IT ON LEATHER CAR SEATS THAT HAD MOLD ON THEM. WORKED SO GOOD WILL CONTINUE TO USE ON MY OTHER AUTOS AS WELL AS TACK. Best product for cleaning leather. The best leather cleaner ever. Removes dirt without leaving residue behind. Did online research on riders, horse blogs, plus Amazon reviews. This brand Leather Therapy (Wash 32 oz) got a lot of good comments so I decided to try these products to restore an old Stubben Rex saddle that has been in storage for a very long time and is dried out and dirty. I'll post my review once I've tried the Leather Therapy products I ordered today. This is an incredible wash for old neglected tack. It really cleans and brings back flexibility. This is the best leather cleaner on the market. It was recommended by a horse trainer friend of mine. I love it! 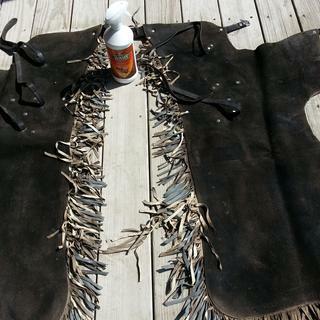 This wash doesn't remove the leather dyes & does well in drawing out gun oils from leather. It may take a few applications & won't remove the oil stains but it will make it look so much better. Make sure to follow up with Restorer/Conditioner, Leather Finish & Water Repellant(if necessary). I'm pleased with the results afterwards. Does this cleaner darken leather? BEST ANSWER: I have used it on both finished smooth surface leather and on suede. Re: smooth surface leather, it doesn't "darken" the leather ; I would say it makes the current color/shade richer and deeper looking, rather than becoming a darker shade. However, it does slightly darken suede leather initially. As the suede dries out, it returns to a richer version of its original color. I have used this on all kinds of leather goods and been very pleased with the results. Have used this for many years with no problems at all. Great product. No it does not darken leather after it dries. No. I use it exclusively on my tack. will it get mildew smell out leather jacket? BEST ANSWER: I have never tried to use the Wash to remove a smell. I CAN tell you that the wash itself has a very pleasant smell to it. I think it would be worth a try.